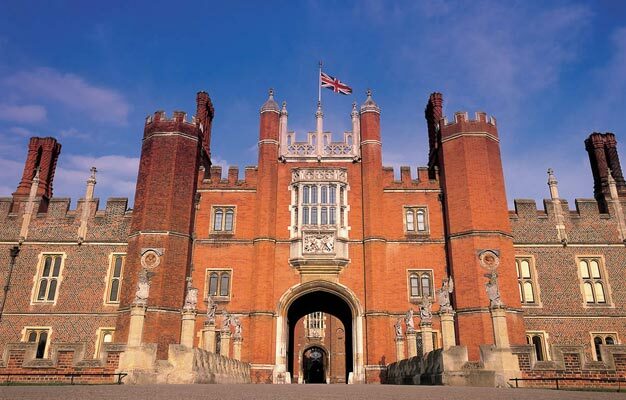 Hampton Court Palace outside London is much more than the historical home of Henry the VIII, and is well worth a visit. You will get to see the beautiful gardens, the Maze and Henry’s Imperial Crown. Entrance tickets to Hampton Court Palace can be bought here! Hampton Court Palace has a uniquely romantic appeal that comes from a past filled with both intrigue and upheaval. When visiting Hampton Court Palace we recommend that you spend time seeing Henry VIII’s Apartments, the Kitchens, and Henry’s Imperial Crown. Also not to be missed are the Beautiful Gardens and Maze. Add to the list and make sure you see Mantegna’s Triumphs of Caesar, William the III’s Apartments and The Gregorian Private Apartments. - The train leaves to Hampton Court Station from Waterloo Station. - Child tickets are valid for children between 6 and 16 years of age. - Children up to 5 years old are free when accompanied by an adult. - Ticket price includes access to Hampton Court Palace, the maze, the gardens, and access to a multi-language audio guide.